Some good news to start the week: Al Arabiya reports that the Iranian authorities released on Sunday, 28 January 2018 the woman who was arrested in the center of Tehran after she took off her headscarf in protest of the law enforcing women to wear headscarves in Iran. Her lawyer Nisreen Stouda, of Iran’s Human Rights Defenders Center in Tehran, said in a statement that her release came after the government succumbed to calls by human rights and civil rights activists for her release. Stouda wrote on her Facebook page that when she checked with the prosecutor’s office to follow up on the woman’s case on Sunday, she was informed that the she had been released. “I hope that she will not be harassed or abused by the judicial authorities because of a simple act that is considered her basic and natural right,” she said. 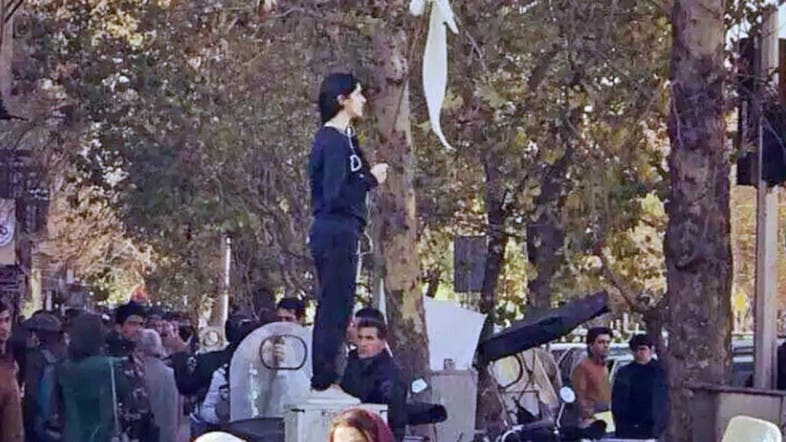 The woman, 31-year-old, Wida Mowahed a mother of a 19 month old daughter, stood in the middle of Tehran’s “Inqlab” (revolution) street raising her scarf on a stick and waving it like a flag. A video of the protest was widely shared a three days before the outbreak of the popular protests in Tehran on December 27. After police arrested Mowahed activists initiated a hashtag through social media #Where_is_She. This entry was posted on	January 29, 2018 at 00:14	and is filed under human rights.